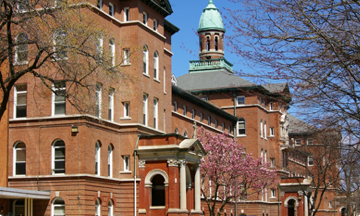 The School Sisters of Notre Dame arrived in St. Louis in 1858, establishing Sancta Maria in Ripa, meaning St. Mary on the Bank, in 1895. Additional historical information can be found in the Heritage Room, which offers details and artifacts from the sisters’ history in St. Louis, including items showing how sisters’ lives have changed over time. Also in the Heritage Room is the original copper cross that stood above the chapel. Contact Sister Carol Marie Wildt for more information at 314-633-7014. 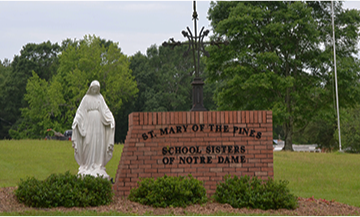 Currently, Sancta Maria in Ripa provides a home to the School Sisters of Notre Dame Central Pacific Province Office and sisters serving in active ministry. 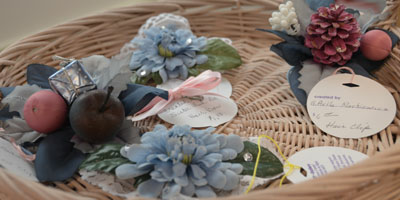 Many sisters residing here make crafts, books and gifts for the gift gallery. The Theresa Center Chapel hosts events and provides a place for community worship and individual prayer. Sisters at Sancta Maria in Ripa serve the community through Liturgical Fabric Arts, where sisters create vestments and altar pieces for churches nationwide. Many are also active in the Adopt-A-Highway program, keeping area highways clean. 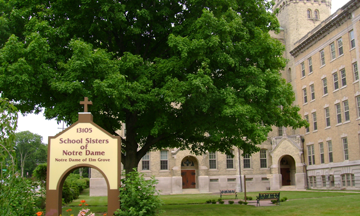 Sisters continue to teach and volunteer at Notre Dame High School, an all-girls college preparatory school, located on the grounds of Sancta Maria in Ripa. 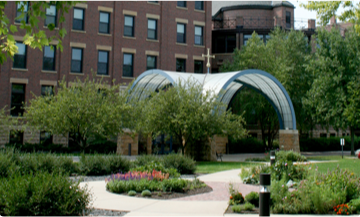 To further serve the St. Louis area, sisters established Maria Center Conference Facility, which can be reserved for private use. Maria Center provides office space to Lemay Housing Partnership Inc., a local service that allows low and moderate income families the opportunity to improve their current home or become first-time homebuyers. The center also hosts the Office of Development for the SSND Province of Africa and the English Tutoring Project. 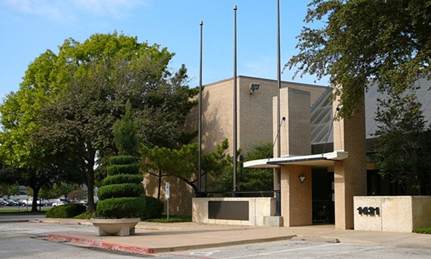 Assists in planning, leading and facilitating activities for residents, both inside and outside the facility. Assures that activity services are provided within the philosophy and mission of the SSND and according to the policies of the facility. The Nursing Assistant provides a variety of housekeeping, personal care, and nursing aide duties for the Sisters as directed.